Most products on this website are for instant download once you clear the shopping cart. If you are not redirected back to your download it could be because you clicked out of the payment window too soon, if this happens you can always find your download by logging back into your account at Molly Mine. Once you log in click on the account button where you will see a list of your purchases and downloads. Click on browse to select a folder where you will be able to find your designs or it may save it to your downloads folder. If you have downloads from the old website that you cannot download email heather@mollymine.com and we can reset your download permissions. Occasionally files can become corrupt during download, this is quite common so please do not panic and think you have a virus, simply email me and I will email your designs to you. Molly Mine will email designs if you have trouble with the download process. We understand all our customers are not computer savvy and we want you comfortable with purchasing so we also offer CDs from the CD link on the left menu. Molly Mine does not refund any purchase that has been downloaded unless it’s a duplicate purchase due to the nature our of it being a downloadable product. Molly Mine will reply to all emails within 24 hours of any email received. 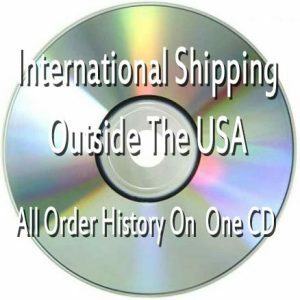 Want to have my orders on shipped to me on a CD? If you want to have a CD shipped to you with all your designs please use the link below. Please purchase only one CD per order, it is not necessary for you to purchase a CD for each item in your cart. 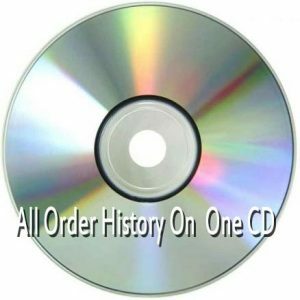 If you are wanting several past orders on CD you will still only need to purchase one CD. If you have recently purchased a CD with your history on it I will only go back as far as the last CD purchased. I have a few customers who will buy a shipped CD every order and ask for history and I will no longer do this. Be sure to back up your designs. External hard drives can be purchased for very little money and are well worth it. How To Make A Molly Mine Quilt? If you need more information about how to construct quilts and project ideas please join the Molly Mine FB group where you will find lots of talented people who love to show off their amazing skills and are more than happy to share how they created them. We are over 3500 members now with hundreds of images to view! Please do not post a new comment about stabilizer since this has been discussed at length many times. You can do a search within the group and each of those conversations will show up on the page. You can also view the photos and under them you may find the information you need. Also in the files section you will find great links that can help you with the construction of quilts as well as some free patterns. I have created a PDF file for you to use to keep up with your Crazy Quilt Collections purchased from Molly Mine, you may downloading it by clicking below. How Do I Make A Crazy Quilt Block?